Cal/OSHA has adopted final rules, effective October 1, 2015, that update the state’s regulations relating to storage battery systems and to changing and charging storage batteries. 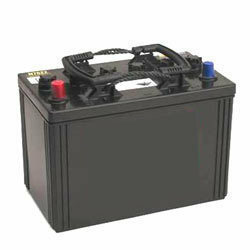 The purpose of this action is to update standards for storage batteries to address modern types of batteries in addition to clarifying regulations applicable to traditional lead–acid batteries. The Santa Barbara County Air Pollution Control District is proposing to amend District rules to reduce air pollution caused by cleaning solvents. The provisions would include requirements for work practices, reactive organic compound (ROC) content limits, and solvent cleaning devices and methods.The Santa Barbara County Air Pollution Control District is seeking to amend rules concerning Surface Coating of Metal Parts and Products (Rules 330), Surface Coating of Aerospace Vehicles and Components (Rules 337), Polyester Resin operations (Rules 349), and Adhesives and Sealants (Rules 353).